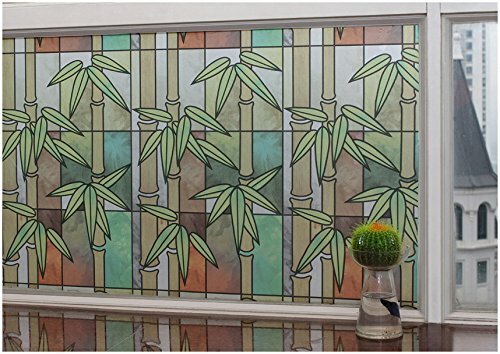 CHOIS Static 506-2 Cling Vinyl Home Decor Privacy Bamboo Plant Stain Glass Window Film 35" x 120"
1.The translucent image is visible from both sides of the window, providing style and privacy simultaneously. 2.Stereo adornment effect,making your home more elegant and more beatiful. 3.It protects your room from Strong sunlight, reduces 60% solar radiation in summer, keeps the heat in winter, saving electric charge. 4.90% Anti-UV, no harm for human body, avoid floor,furniture,curtain ageing and faded.